It's a big world, but luckily there are plenty of maps to help navigate it. If you consider yourself a bit of a geography buff and feel like putting your knowledge of world geography to the test, take a look at the maps in these quizzes and see if you can identify the locations they represent. If you don't know much about Africa now, you will by the time you finish taking this Africa map quiz. Africa is a fascinating continent with some amazing geography. You're bound to recognize at least a few of the better known nations, but there might be a few you've never heard of before. You'll also have to identify several bodies of water across the continent. You may be able to name some of these places just by their shape and location on the map, but there are also a few hints throughout the quiz to give you a little help. Asia just happens to have the largest land mass of all the continents, so this map quiz about Asia is going to offer you quite a challenge. You'll need to name various countries by their locations on the map, and there are also questions about islands, rivers and mountains. Beautiful Europe is one of the world's best-loved vacation destinations, but the nations of this continent have also played a major role in world history and culture. The European map quiz asks you to identify countries, lakes, mountains, and more, but it is a multiple choice style quiz so you have a one in three chance to pick the right answer. You may expect the United States Map Quiz to be the easiest quiz of them all if you happen to be a U.S. citizen, but just how easily can you identify the states just by their shapes? This quiz may turn out to be more difficult than you think. Don't worry, though. There are some facts included with each question that just might help you recognize which state you're looking at. Think you're a real geography expert who's ready to tackle the world? 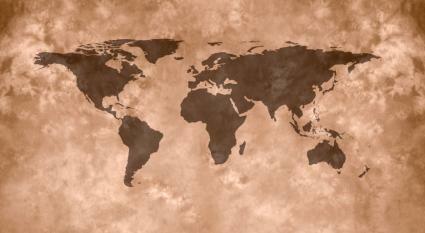 Try the World Map Quiz, with questions about locations on each of the seven continents. Spend a little time studying a map before you take a particular quiz. Brushing up beforehand should help you achieve a better score. Pay attention to the hints that are built in to the questions. They can help guide you to the correct answers. Take a quiz more than once if you get a low score. You'll get to see the correct answer even if you get a question wrong while taking each quiz. After a few times, the answers will stick in your head, and you should be able to achieve a perfect score. These quizzes are fun, but they're also useful and educational. Use them to improve your knowledge of world geography, and what you learn might come in handy at school and even in your daily life.